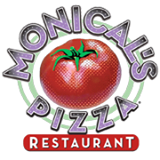 Come in to Monical's of Greencastle for Dining In or Carry Out for your favorite Italian on Monday, October 7th from 11:00am 'til close. Choose whatever you'd like to eat, and be sure when you pay to let them know you're there for the CB CC fundraiser. Pick up a flyer from the counter and be sure to hand it to the cashier before you pay. Just for coming in and eating your favorite Monical's food, Covered Bridge Country Chorus (CBCC) will receive 20% of your bill before taxes. So, eat your favorites at Monical's next Monday, and you get a great meal while also helping raise funds for CBCC's riser fund! !